Our purpose is to provide a comprehensive Torah education for women that will permeate their heart, mind and soul, instill an appreciation of Judaism. Study at Machon Chana provide the tools necessary for lifelong personal growth and fulfillment as a Jewish woman in the family and in the destiny of the world. 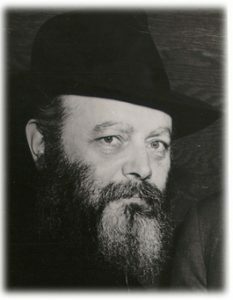 In the early 1970’s the Lubavitcher Rebbe called for a worldwide campaign of Jewish education to stem the tide of rampant assimilation and intermarriage threatening the continuity of the Jewish people. The concept of a yeshiva for women with limited Jewish knowledge was revolutionary. Founded on the vision that by educating Jewish women one ensures the future of our people, Machon Chana met the challenge. The founding principle of the institute is that Torah study is crucial for the personal development of every Jewish woman as an individual and as a productive contributor to her respective community. Machon Chana offers an opportunity for any Jewish woman to study in workshops, classes and in private learning the mystical role of the Jewish woman and how she can make a difference in the destiny of the world.